Perdinan is a lecturer of Department of Geophysics and Meteorology, Bogor Agricultural University. He has a multidisciplinary background on agrometeorology (BS), natural resource economics (MS) and geography and environmental science and policy (PhD). He was awarded Bank Central Asia Scholarship (1999-2002), Australian Development Scholarship (2007-2007), and Fulbright Presidential (2008-2011) to pursue his BS, MS, and PhD degree, respectively. 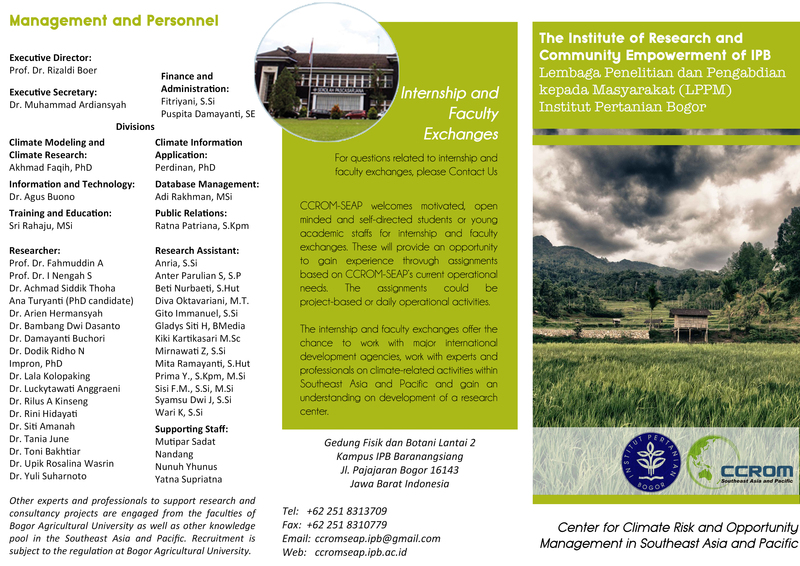 In Indonesia, he joined with the Bogor Agricultural University, as a teaching staff and researcher with specialization in Applied Climatology. 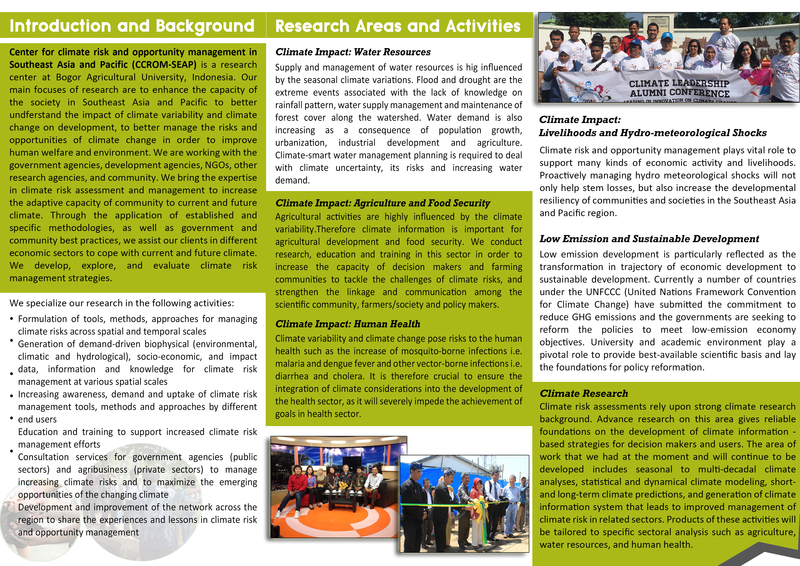 In this field, he has been involved in many research projects related to climate risk analysis, climate change impact/adaptation on various economic sectors, and environmental/agricultural modeling development. He has a basic understanding on database management system, computer programming, environmental modeling, and is familiar with a wide variety of computer programs. He also had presented his works at national and international conferences and published monograph/book chapters and refereed journal articles at national and international journals.